Make it hard, why dontcha? Love them both, but I've seen del Sartos in person and felt like I could just sink into those colors. Andrea del Sarto by a hair. I like the first del Sarto where the guy's telling his friends about his weird dream: "So, I was a woman all of a sudden, and there were these creepy little naked guys with wings running around trying to get under my skirt ..." but the second one is too preachy, if well-executed. I'm going to have to go with the Fra Angelico, because of its smooth hazelnut flavor and hints of cocoa and vanilla ... oh wait, that's the liqueur. 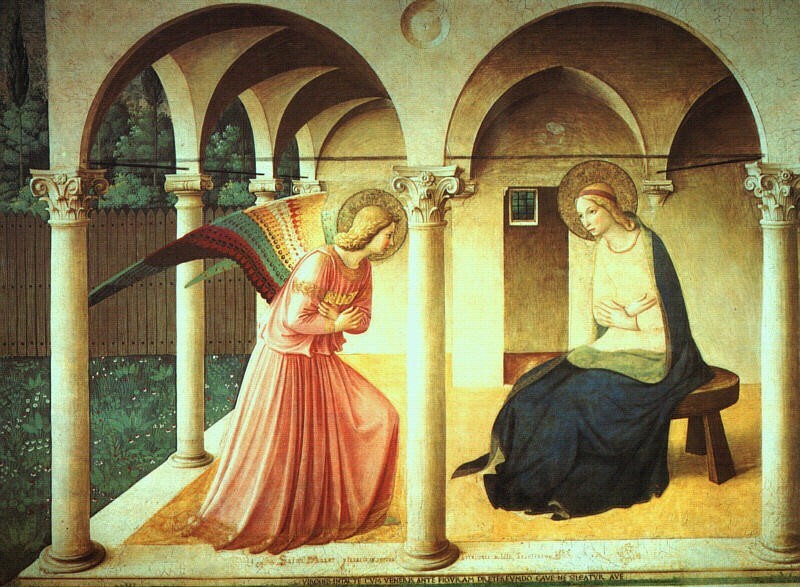 Well, I still like the architectural annunciations and the tie-dyed angel wings, so Fra Angelico it is. Angelico gets my vote, because the cracked paint looks cool and the angel's wings are awesome. Also del Sarto's art is kinda boring. Cherubs annoy me. And what's with the angels with the dry heaves? I vote for neither, or for that gal with the iron spike in the last installment that I just read, even though that's not really the way the rules work. Fra Angelico ftw. Did you notice the angel/saint who's bleeding from having been scalped? And the little flame coming up from the archangel's forehead? In addition, at least according to wikipedia, "In The Annunciation, the interior reproduces that of the cell in which it is located." That's pretty excellent. Plus, a little google work reveals more loveliness. Fra Angelico for the awesome wings. Definitely Fra Angelico, for all the things mentioned above: the color palette, the wings, the architecture, the lack of froufrou, etc. 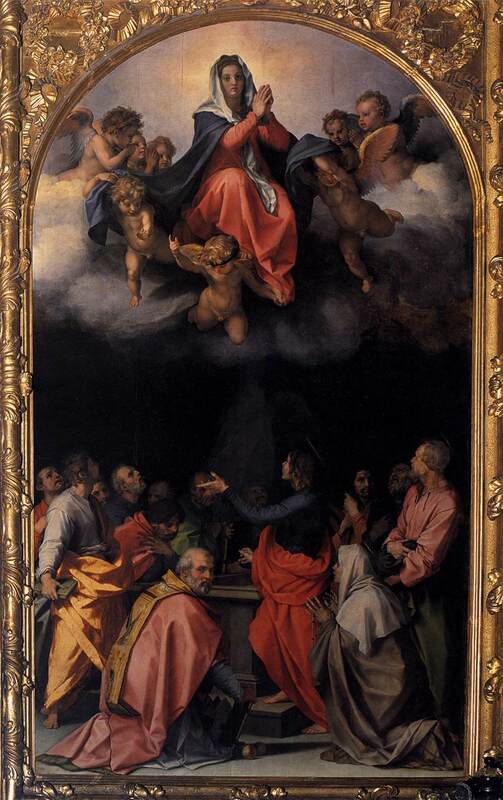 del Sarto 'cause they're better paintings. Hey, where's my vote? 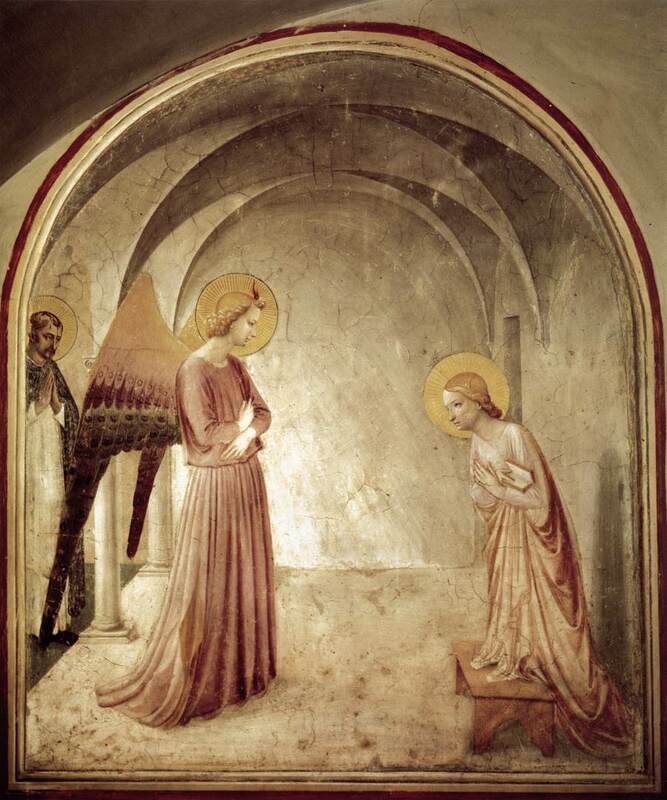 I said Fra Angelico, natch, and not just because I have a thing for annunciations. OK, mostly for that. Love the spare, gestural quality, the way the figures inhabit the spaces. The fresco v. oil painting matchup really does show off what you can do with oils, at least if you're Andrea del Sarto, just a century or so down the road. Brutal first-round match-up, but I can't go against da Fra. Hmm... I thought I voted, but apparently not. 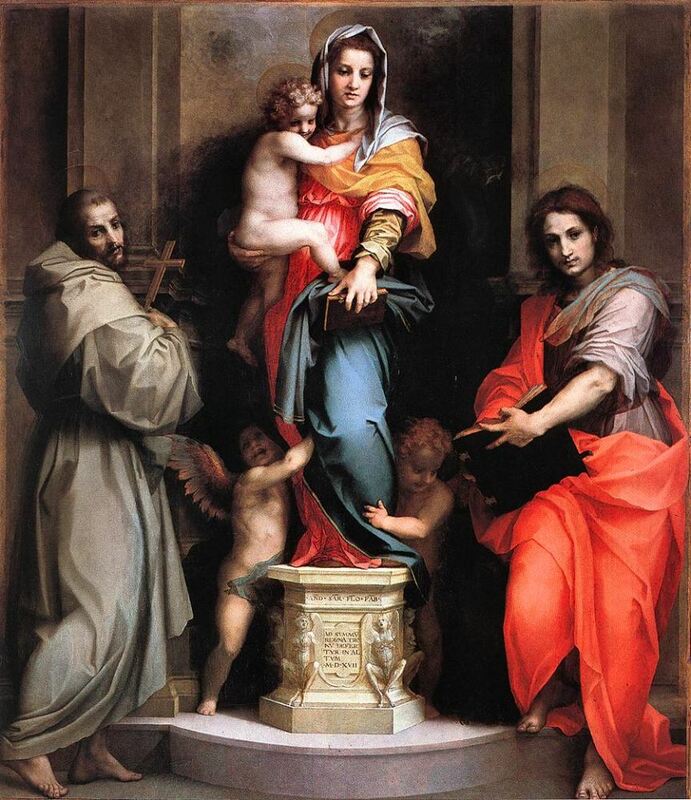 I'm going to go with Andrea del Sarto, because of the pathos of his subjects and skill of execution, but its close.